Gatanga MP calls for caution in the implementation of the 2-6-3-3-3 curriculum. Gatanga MP Eng. Joseph Nduati Ngugi (extreme left) flags off the 2018 the 16 "Wings To Fly" beneficiaries from Thika East, Thika West, Gatundu North and Gatanga sub-counties. Gatanga MP Eng. Joseph Nduati Ngugi has appealed to Education Cabinet Secretary Amina Mohammed not to rush the implementation of the new 2-6-3-3-3 curriculum arguing that schools lacked the necessary infrastructure to accommodate the system now. Speaking in Thika Town on Monday while flagging off 16 beneficiaries of Equity Bank’s 2018 “Wings To Fly” Programme, Eng. Nduati noted that most public schools across the country lacked basic infrastructure to accommodate any new structure in education thus there was need to invest on the same before the ministry rolled out the new system. “I want to point out that 8-4-4 is not a bad system after all having seen it churn out so many successful professionals over the years. We should not, as a country play politics with the education of our children and keep changing our education system now and then,” said Eng. Nduati. The Gatanga legislator hailed the manner in which the Thika Community Scholarship Selection Board conducted the exercise saying that only the most deserving cases were selected. However, the MP admitted that only a small percentage of deserving cases benefited thus there was need for other stakeholders to come on board in order to assist all those who were left out due to various reasons. “Those selected are very few compared to the big number of the needy children we have in the society. As Gatanga, we are going to use Equity’s Wings To Fly list to assimilate all those we can with our Ksh. 25 million CDF kitty,” he said. He challenged parents to take full advantage of empowerment programmes being rolled out by the government so as to improve their economic status and be able to educate their children without fully depending on external assistance. Thika Branch Equity Senior Business Growth & Development Manager Mr. Samuel Karanu admitted that the level of poverty among families was quite high in the region with so many deserving cases being locked out of their selection. He urged the parents and guardians of the beneficiaries not to abdicate their duties as parents especially now that their children had received full scholarships. “As parents, you should not abscond your parenting responsibilities now that Equity Bank has taken up the role of educating your children. This is a shared responsibility between both of us so as to ensure that these children do not get lost along the way,” he said. He advised the beneficiaries not to let anyone kill their dreams, appealing to them to use the scholarship opportunity to work hard in school and uplift the economic standards of their households. Thika Town MP Eng. Patrick Wainaina, who was away on other official duties, was represented by his CDF Chairman Mr. Huruko Njau, who reiterated their commitment to assisting all the needy students with bursaries and in any other form of assistance. 171 students from Thika East, West, Gatundu North and Gatanga sub-counties applied for the scholarship this year with just 110 getting shortlisted for the final selection. To qualify for Wings To Fly scholarship, one had to have attained a minimum of 350 marks in this year’s KCPE and must have been come from a genuinely poor family background. Since its inception, Thika region has so far benefitted 240 students, some of who have successfully joined the labour market, both locally and abroad. Thika District Business Association (TDBA) Chairman Mr. Alfred Wanyoike in a file photo. Thika business community has has appealed to teachers to reconsider their plans to go on strike next week as announced by their umbrella body the Kenya National Union of Teachers (KNUT) saying it will adversely affect learners. In a statement, the Thika District Business Association (TDBA) Chairman Mr. Alfred Wanyoike described the teachers' action as uncalled for and not in public interest. "We, the (Thika) business community and as parents condemn and oppose the KNUT initiated teachers' strike on 2nd January 2019 with the strongest terms possible. Our schools academic calendar shall not be disrupted by the so called KNUT for their selfish and political interests," read part of the statement. Wanyoike vowed to ensure all learners opened school as scheduled and expected all teachers to report on duty as per their mandated. "Its very clear that Teachers Service Commission (TSC) can do without KNUT but KNUT can't do without TSC. We are supporting TSC and the national government on this one," he added. He instead appealed to teachers to initiate dialogue with their employer as the children continued with their learning. He also challenged the Mt. Kenya region KNUT officials to publicly declare their position on the matter. At least 3,094 primary and secondary head teachers have been transferred. Last week, Labour Cabinet Secretary Ukur Yatani appointed a special committee to mediate between KNUT and TSC over looming strike January 3, 2018. The mediation team, which is led by Labour Relations Officer Charles Maranga, will address concerns raised by the KNUT regarding teachers' promotions, transfers and performance appraisals. Thika Town experiences the ‘quietest’ Christmas in decades. 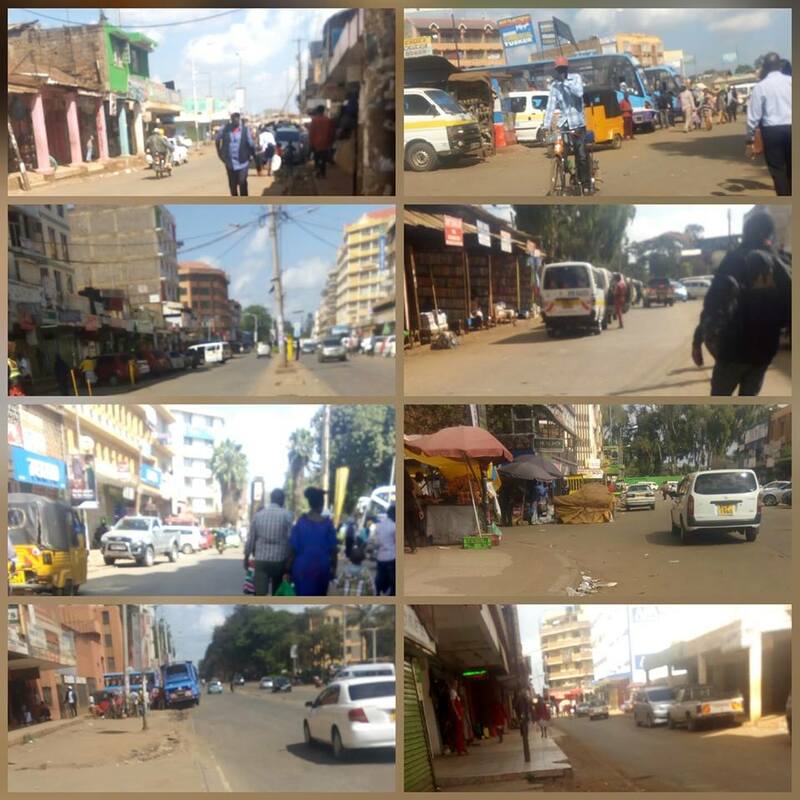 A collage photo showing how various streets of Thika town looked like on December 26 2018. For quite a long time, Christmas time was dreaded by many as the riskiest time of the year due to the high number of burglaries, violent robberies and muggings, house breakings and murders. Thika reported so many of such with criminals taking advantage of the festive season’s exodus to reign terror on residents. Last year, a 55-year old woman was on Christmas morning stabbed to death by an unknown number of people outside her house in Makongeni Phase IV Thika. Several other incidents were reported at various estates within the town. This year, Thika residents experienced a relatively quiet and peaceful Christmas with virtually no major criminal incidents reported. Police patrol within the town and its suburbs was quite high, both on foot and via police vehicles, essentially paralysing criminal activities across the region. On 25th December 2018, the streets of Thika were left virtually deserted as the town underwent its annual Christmas exodus - leaving the CBD like a ‘ghost town’. 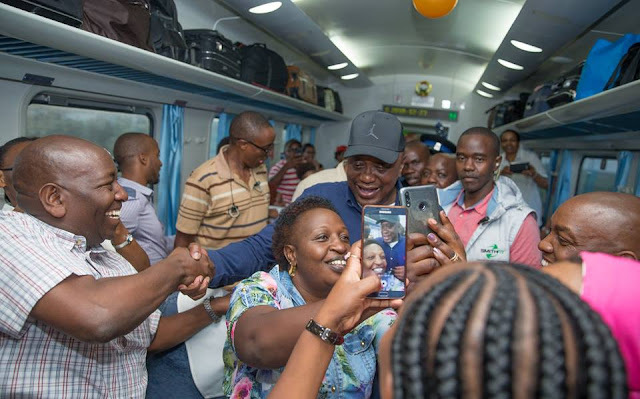 The ever busy streets like Kenyatta Highway, Uhuru Street and Kwame Nkrumah Street had no people except families walking helter-skelter with travelling bags heading to the main bus station and bus termini destined for upcountry. Even with the fares were raised threefold, most of these passengers remained stranded due to the scarcity of passenger vehicles. 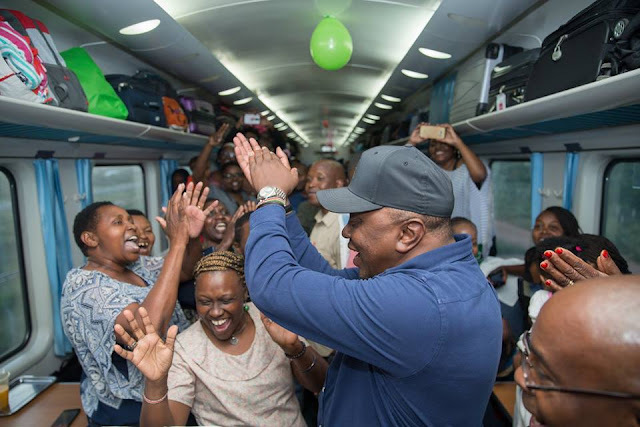 However, Nairobi bound matatus had very little business as few people were heading in that direction. Thika superhighway bore the blunt of this exodus as motorists and commuters especially those who were heading to the Murang'a direction had to bear with a 30km long traffic jam from Juja to Kabati in Murang’a County. Those remaining behind breathed a sigh of relief as they enjoyed the relative calm on roads free from the usual thronging crowds of people. Majority thronged entertainment joints and churches with family for merry-making and worship while some decided to enjoy some good time at home with family and friends. Nonetheless, some residents had no luxury of celebrating Christmas with the rest. Bodaboda riders, hawkers and attendants of entertainment joints and supermarkets were still working during the festive period. Majority of those who were self-employed said they could not afford to miss the opportunity to make a quick buck as they expected increased business as residents stock up on food and buy clothes to celebrate with their families. Come the 26th, the town regained part of its human traffic even though majority of them were busy travelling upcountry for their late Christmas family get-togethers. Only a few shops and stall remained opened for business with supermarkets and hawkers making the last minute “kill”. Others took advantage of the absence of people to renovate and paint their business premises as they prepared for the new year. PHOTOS: President Uhuru travels with SGR to Mombasa, mingles with Wananchi. 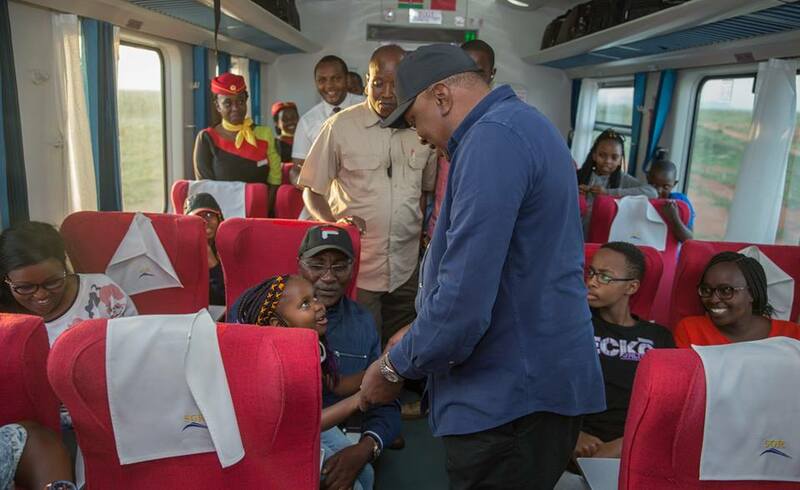 President Uhuru Kenyatta accompanied by First Lady Margaret yesterday (Sunday) took the SGR train from Nairobi to Mombasa, during which he met and interacted with fellow commuters who shared their interesting experiences about the service. 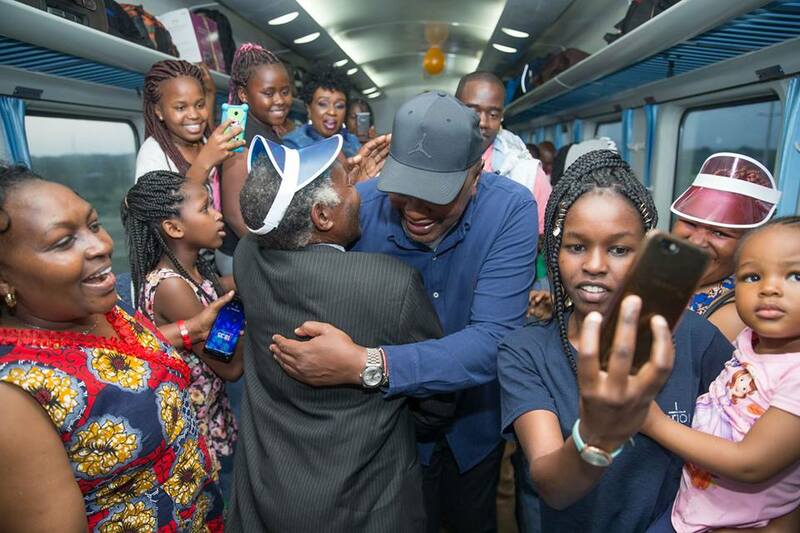 The jubilant commuters seized the opportunity to take selfies with the smiling president who had time to chat and entertain children. School Opening Dates changed to allow teachers, pupils time to travel. The Ministry of Education has rescheduled the school re-opening timetable from January 2 to January 3. In a circular sent to all departmental heads on Monday, Basic Education Director Elyas Abdi said the extension of the opening date by 24 hours was to allow teachers and learners time to travel to their workstations. 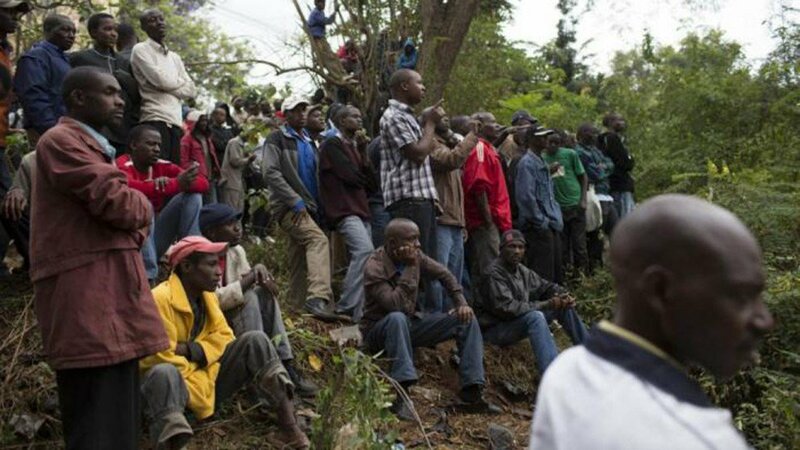 The announcement comes hours after Kenya National Union of Teachers dismissed calls to call off a teachers’ job boycott. Church Faithful split into two factions over leadership wrangles. Pastor Joseph Gichuru of Full Gospel Churches of Kenya in Kiganjo Estate Thika leading a church service from a tent on Sunday following a fallout of the church due to his disputed transfer. Faithfuls of the Full Gospel Churches of Kenya in Kiganjo Estate Thika have split into two factions following a dispute in the leadership of the church. This comes after some of its congregation disputed the transfer of their pastor, forcing one group to worship inside a hired. The Sunday service was paralysed in the main church as worshipers boycotted the venue, virtually deserting it as one security guard stayed vigil at the gate just in case anyone attempted to cause damage to the property. The second group worshiped under the scorching sun all in solidarity with the ousted pastor. The bone of contention is a letter dated 10th December 2018 by the Parish Reverend John Chege purporting to have transferred Pastor Joseph Gichuru from the church after serving for 11-years. The congregation alleged that the church has seen tremendous growth, both in infrastructure and spiritually, under Gichuru’s leadership and saw no reason why he should be taken away from them. While addressing the press, the worshipers described Chege as an old dictatorial leader whose action did not go in tandem with the general principles of their church. Led by Lucy Wanjiku, a woman servant at the church, the members accused Chege of misappropriating church funds, handling their pastor with contempt before his own congregation and denying them opportunities to express themselves over the longstanding church squabbles. They said that apart from invasion of the church by armed police officers last Sunday, the leaders in question denied them access into their church last Sunday despite being the ones who have built the church. “On Sunday, Reverend Chege and his team interrupted our calm service and took over the microphone. He went away with all the offerings we had made for our pastor including his Christmas gifts. That team has been demeaning our able pastor and we have not taken this kindly,” said Wanjiku. Edward Wainaina, a 10-year-serving deacon at the church said that the members agreed to peacefully decamp from the church leaving behind all the investments they had made including the church musical instruments all in efforts to seek peace. Wainaina attributed the church tiffs to mischief from Chege who he accused of orchestrating the rows to gain financially as the church enjoys a large membership. It is from a whole-week church closure that the members agreed to hire a tent and instruments to seek God from another ground. “Chege was has been transferring our pastor after an increment in church tithing and membership growth. He is greedy, dishonest and non-inclusive in the LCA church affairs as our church branch is not represented in the council,” said Wainaina. Paul Muraya, a youth in the church said that the leaders have set a bad example for the young Christians calling on the higher church authorities to intervene, unmask alleged corruption and offer a solution. Efforts to seek a comment from the church reverend were futile as he declined to talk to journalists. 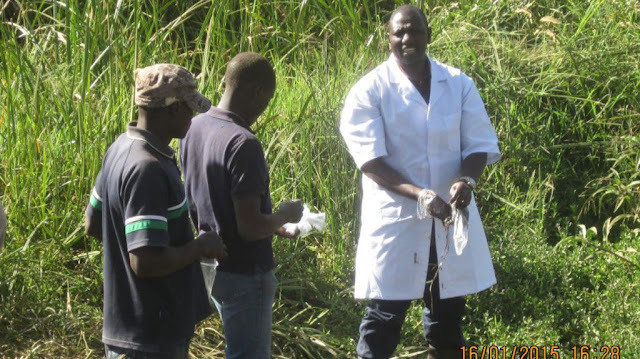 KDF retrieve bodies of two girls who drowned in a pool of neglected quarry in Kisii Estate. The bodies of the two girls who drowned yesterday in a pool of water from a neglected quarry near Thika Barracks Primary School have been retrieved by Kenya Defense Force (KDF) Rapid Response Unit. In an exercise that ended at around 9am on Sunday, the bodies of the two aged 13 and 11 were later taken to General Kago Road Funeral Home in Thika. The two, who all reside at Kisii Estate, are said to have met their death after they decided to swim in the 12-feet deep abandoned quarry which was said to have been left empty by a private developer. It is alleged that one of the girls was the first to drown and as her colleague attempted to rescue her, she too got overwhelmed and drowned. 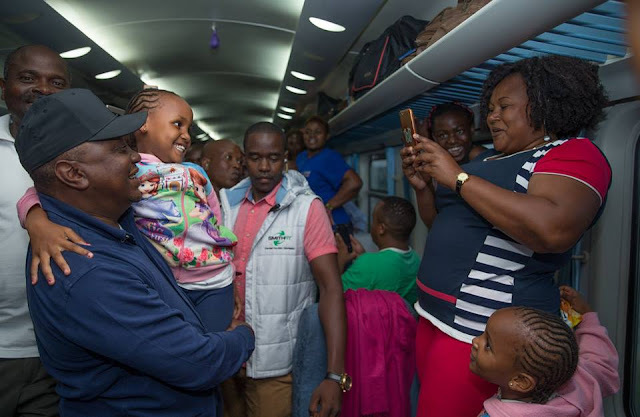 Their bodies spent the night at the pool before the KDF team from Nairobi arrived on Sunday morning and successfully retrieved the two. The incident comes barely 3 days after another on that occurred just a short distance inside Thika Barracks where a KDF soldier and his two sons perished in a similar fashion. 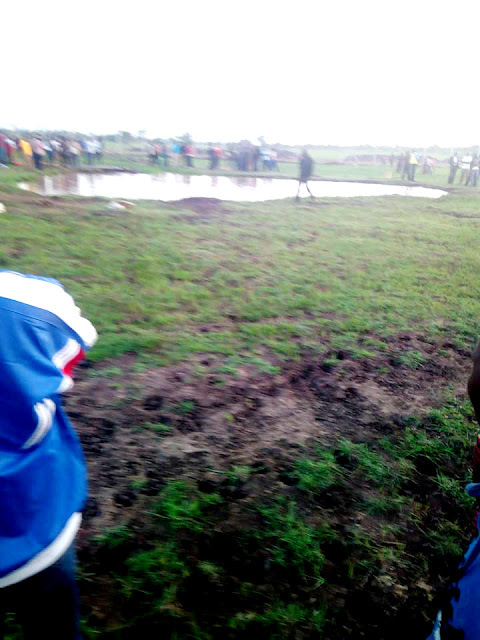 Earlier this week, a similar incident happened in Witeithie area where a boy is said to have drowned as he swam in a pool of a neglected quarry. It is no longer an open secret in both Thika and Juja where private investors have been abandoning dangerous quarries after harvesting murram and machine-cut stones, especially in Komo, Kiganjo, Witeithie and Ndarugu areas. Quite a good number of these pits are so close to residential areas in total disregard for people’s safety and the environment. These areas have witnessed various quarry accidents and health complaints associated with quarrying activities which have not been addressed. Deaths in abandoned and inactive mines occur regularly. Drowning especially among the young kids is the number one cause of death in these abandoned quarries. More significantly, they result to the degradation of land, drainage problems and visual intrusion because many are not rehabilitated after use. Falls are also deadly. The rocks of quarries that have already been harvested are highly unstable since they are usually fractured by the blasting and machine activity. A person’s weight will easily destabilise an entire face of rock leading to a fatal fall. Some of these deaths and injuries can be prevented if citizens know the danger of these mines. The authorities should compel these stone harvesters to make better efforts to warn people of the dangers and limit access to these facilities. The county government should also prepare policies to govern reclaiming or regulating of quarries. 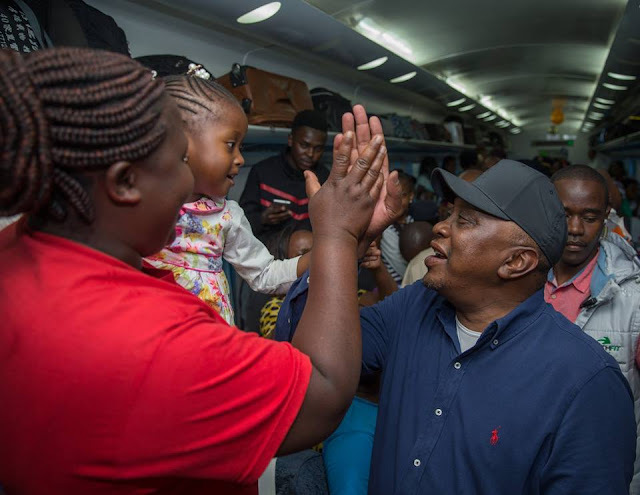 President Uhuru directs KDF to airlift Maraga to Nairobi after accident. Chief Justice David Maraga talking to the press at War Memorial Hospital in Nakuru before they get airlifted to Nairobi. 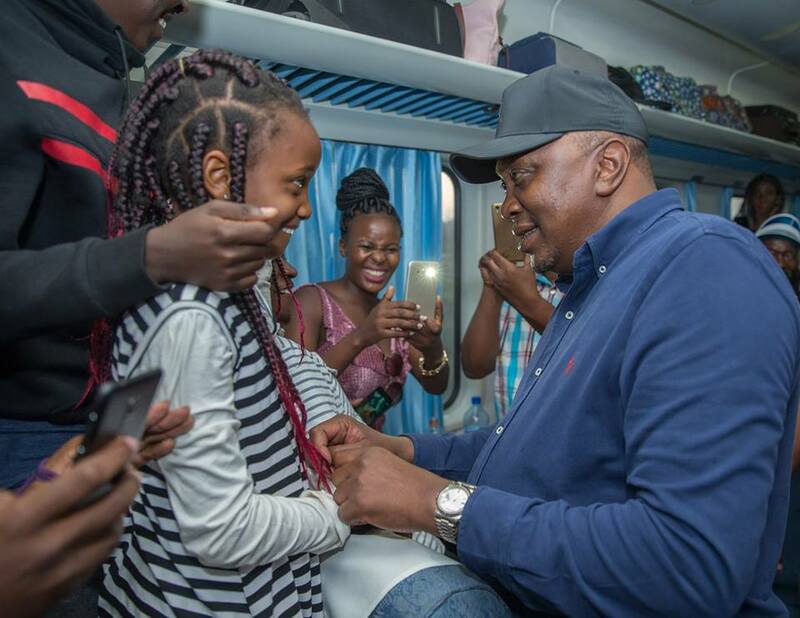 President Uhuru Kenyatta has directed the Kenya Defense Forces (KDF) to airlift Chief Justice David Maraga and his wife Yucabeth Nyaboke to Nairobi following a road accident early this morning. 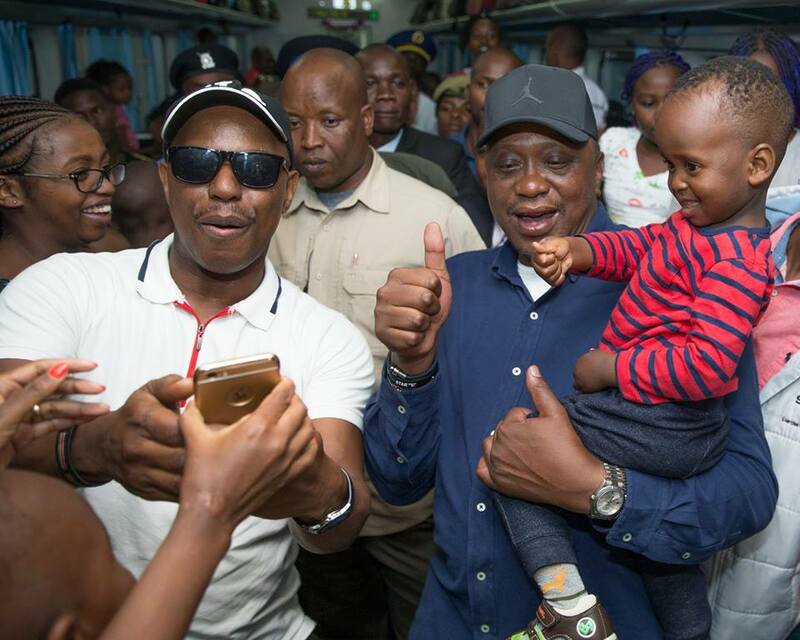 Rift Valley Regional Coordinator Mongo Chimwaga says that the president gave the directive to have the couple rushed to Nairobi hospital for comprehensive medical attention. “The CJ and his wife were heading to church in Ngata area, when their vehicle was hit by a personal car. They are in a stable condition,” said Mr Chimwaga. 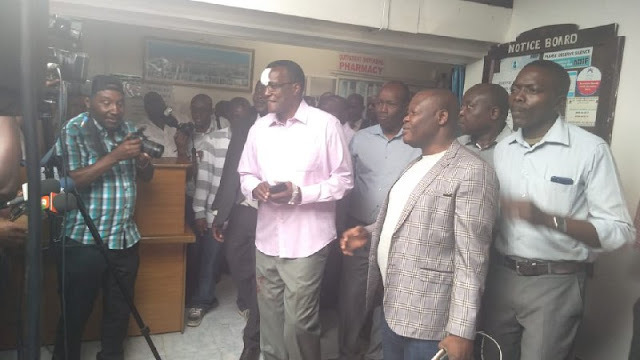 Maraga and his wife Yucabeth Nyaboke Maraga were involved in an accident the couple crossed Ng'ata Bridge along the Nakuru-Eldoret Highway as they were on their way to church from home. The CJ is said to have sustained head injuries while his wife and were admitted at War Memorial Hospital in Nakuru. Nyamboke is said to be in shock but stable and doctors are monitoring her condition. Their driver and aide who were with them in the car are also said to be okay. Mang’u star emerges 7th Best in Kenya as the school is ranked 4th. Brian Ndung’u Njenga being lifted shoulder-high by parents and teachers at Mang'u High School on Friday. 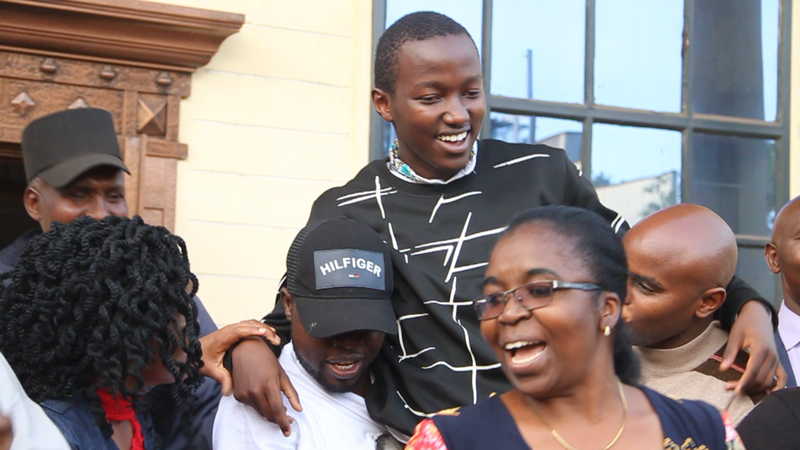 Brian Ndung’u Njenga from Mang’u High School has emerged the seventh (7th) best candidate in this year’s KCSE with a straight A of an enviable performance index of 87.259, just 0.385 behind the top student who scored 87.644. Brian was second best in Kiambu County, only trailing Christine Mel from Alliance Girls High School who scored an A of 87.274. Mang’u High also produced another top candidate in Anthony Maina Njoroge who was ranked position 12 countrywide with an aggregate of A of 87.061. Two other students from the school featured in the top 100 in positions 65 and 86. 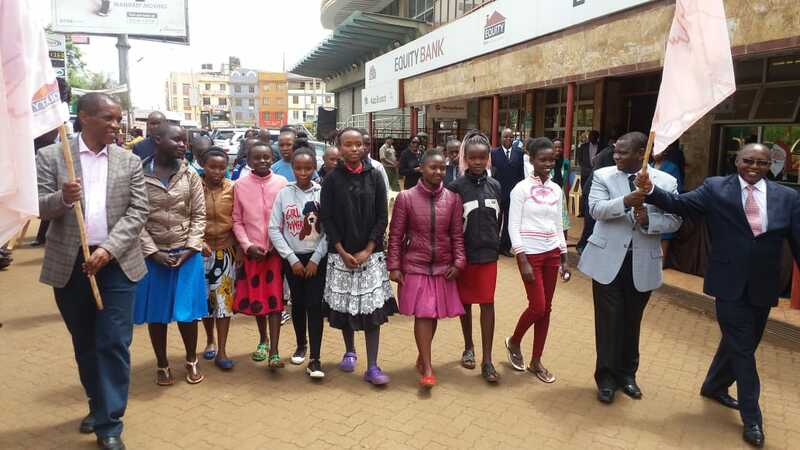 Speaking at the school after the announcement of the results, Principal Abraham Githuka hailed this year’s performance as their best in the last three years with 316 out of the total 330 candidates who sat for the 2018 KCSE qualifying for university admission. “This year’s performance is the best compared to the past three years. We have 16 straight As, 98 A- and 88 B+. Last year we had only 3 As,” explained Mr. Githuka. He attributed the good performance to hard work amongst the students and teachers as well as a mutual understanding between the teaching staff, parents and other stakeholders. When asked about his plans after these results, Brian said that he hopes to pursue a degree in Material Science, preferably from a university in Japan. He said that even though he expected to perform well, this position came as a surprise to him as he never expected to be ranked among the top 10 best students in the country. “He has never been top of his class ever since he joined Mang’u High School. 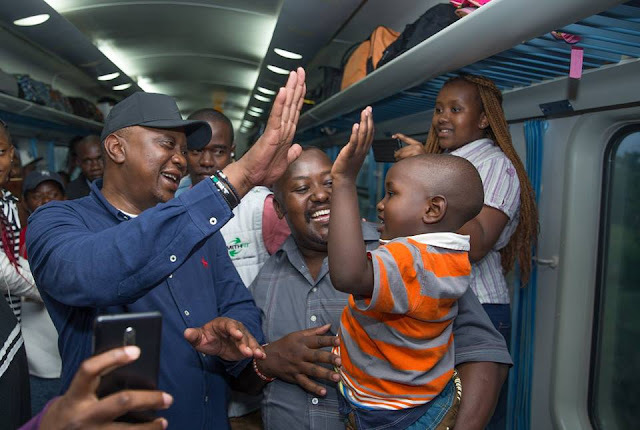 In fact, he only came second once in his class, otherwise he used to sail around the first 5 positions,” explained Brian’s father Mr. Peter Njenga who is the deputy principal at Gituru day secondary School in Murang’a County. Anthony Maina Njoroge (Left) and Brian Ndung’u Njenga, the two top students in this year's KCSE exams at Mang'u High School, pose for a photo with their principal Mr. Abraham Githuka. Brian joined Mang’u High School from Kabati Flyover Academy in Murang’a as the 38th best in his Form 1 class with 424 marks in KCPE. DP William Ruto in a past graduation ceremony. Today, Friday December 21 2018, will be a triple celebration for the Deputy President William Kipchirchir Samoei Ruto who will not only be marking his 52nd birthday as well as his 27th \ wedding anniversary to his wife Rachel, but will also be conferred with a Doctor of Philosophy degree in Plant Ecology. This means that Ruto who calls himself 'hustler' will now be officially addressed as Dr William Ruto”. 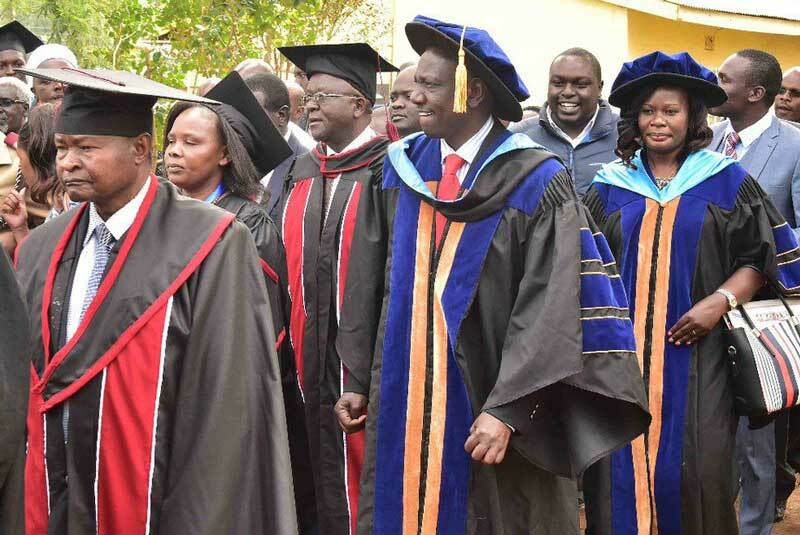 Ruto will be graduating after defending his thesis on the 'Influence of Anthropogenic Activities on Land Use in Western Kenya'. He defended his thesis at the School of Biological Sciences at the University of Nairobi. His doctorate thesis touches on one of the problems being experienced at the moment as government embarked on the fight against rogue property developers who erect structures on riparian land. DP William Ruto (right) on the field doing the research for his Doctorate degree thesis. The DP will graduate alongside 9,000 other graduands at the UoN square beginning 7:30 am. His name, alongside six other UoN graduands, was approved and published by the university Senate last month during a session chaired by Vice-chancellor Peter Mbithi. It has taken Ruto six year of hard work to attain his Doctorate status. In 2016, he failed to graduate because he had not met all the coursework requirements. The DP has a Bachelor’s degree in Botany and Zoology and a Master’s degree in Plant Ecology. Ruto started his schooling at Kerotet Primary School before joining Wareng Secondary School for his O’Levels. He proceeded for his A’levels at Kapsabet Boys in Nandi. Ruto holds a Bachelor's degree in Botany and Zoology from the University of Nairobi. He graduated in 1990 and a Masters in Plant Ecology in 2011. Ruto was earlier set to graduate for his doctorate two years ago. Philomena Mwilu, the Deputy Chief Justice, Devolution CS Eugene Wamalwa and Meru Senator Mithika Linturi will also be conferred with masters of law. According to data at the Ministry of Education, Kenya has less than 10,000 Ph.D. holders. Only 369 students graduated in 2017. Over 300 alumni to offer mentorship, entrepreneur skills to former school. Over three hundred professionals drawn from different backgrounds have pledged to support and offer mentorship and entrepreneurship skills to their former school. 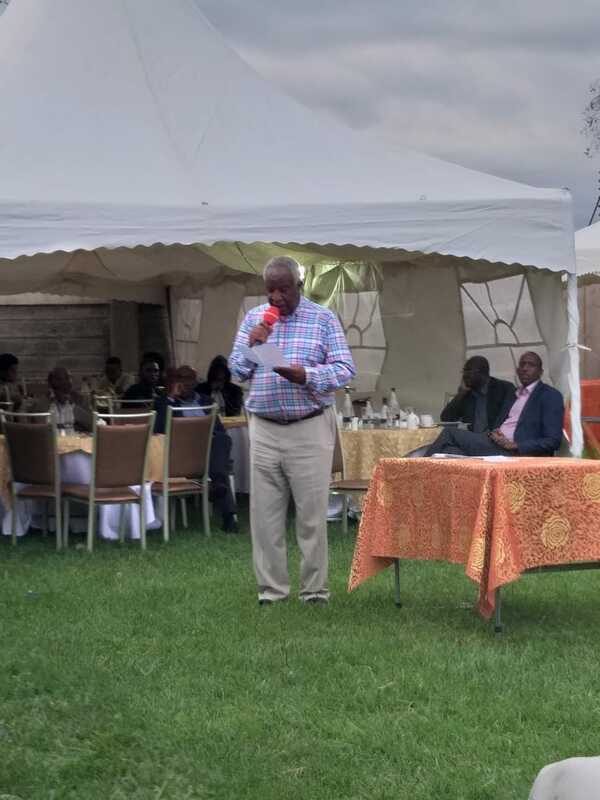 Led by businessman Peter Munga yesterday at an event held in Nairobi under "Pioneer Schools Alumni Association", they also pledged to offer career guidance and offer links to industrial market. “Pioneer Schools has become an intellectual hub that has for many years produced doctors, bankers, finance professionals, architects business men, lawyers and pilots and we feel there is a need to plough back all these skills to our former schools and build another wider pool of entrepreneurs and professionals,” said James Karuthiru who is the chairman of the association. During the event, Mr. Munga pledged Ksh. 500, 000 that will fund the association activities. Mr. Munga is also the founder of the 18-year-old Pioneer School in Murang’a, which has a student population of over 1,500 and Pioneer Girls School in Thika. He also owns St Paul’s Thomas Academy and is the chairman of Nairobi-based Pioneer International University. “I am proud of what these young men and women have grown up to be. People who command respect and are proud to be part of this family that has now become the Pioneers Schools Alumni Association,” said Mr. Munga. “We have always been committed to offer quality education in different professional areas among them aviation and entrepreneurship so that to produce a generation of job creators and competent professionals,’’ he added. Fukuoka Japan donates 3 compactors and 1 dump truck to Kiambu. 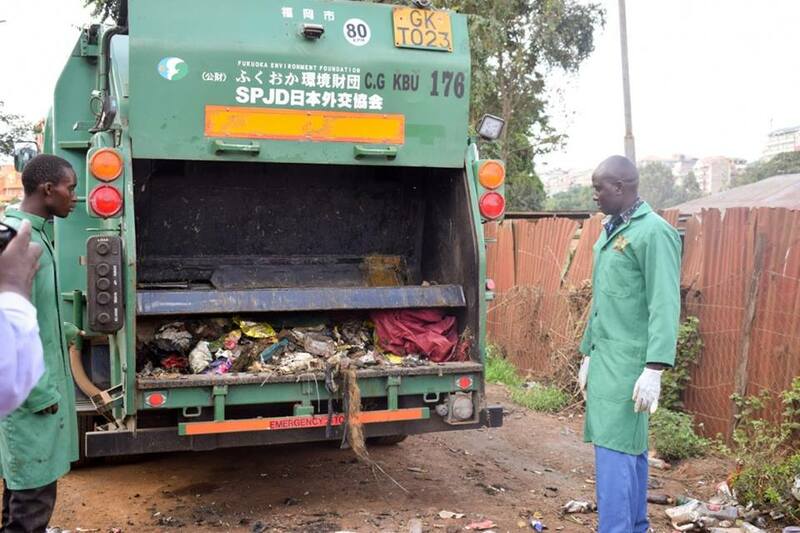 Fukuoka University in Japan has donated 3 compactors and 1 dump truck to help in the collection and transportation of waste in Kiambu and address issues of uncollected waste in the County. While the flagging off these machines on Wednesday, Governor Ferdinand Waititu promised to do everything possible to contain the garbage menace in the county. “We are going to utilize these machines fully and to the benefit of the people of Kiambu. We have also ordered more 5 dump trucks, 6 back hoes, 10 skip loaders and 110 skips (large waste bins) that are expected to be here in January,” said Waititu. The machines, that have been through the Kenya Urban Support Program, which is funded by the World Bank, will be distributed to Kikuyu, Limuru, Kiambu, Thika, Ruiru and Karuri Municipalities. Prof. Matsufuji said that they would train the county staff on how to operate and maintain these machines, as they are the first of its kind in Africa. A compactor utilizes a metal ram that crushes waste to manageable and small pieces therefore enhancing efficiency and improving sanitation. Present at the flagging off included the Deputy Governor Dr. James Nyoro and the Chief Officer Water, Environment, Energy and natural resources Eng. Lucas Wahinya. Grief engulfed the residents of Makongeni as the bodies of three members of the same family were retrieved from a quarry filled with rain water at Barracks Grounds on Wednesday morning. The three, the father who is a Kenya Defence Forces (KDF) soldier and his two sons drowned on Tuesday evening. According to a police report made at Makongeni Police Station, the incident happened at around 5pm Tuesday evening. 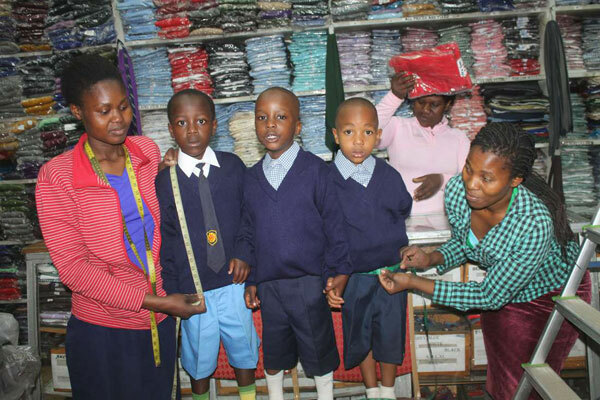 The two boys, Joseph Githinji, 11, and his brother Vincent Muchui, 7, were swimming in a marram excavation quarry filled with rain water within the KDF barracks grounds when they slipped into the quarry believed to be 30 feet deep. When their father heard of the incident, he is said to have rushed at the scene, took a tyre and jumped into the pool in an attempt to save his sons. Unfortunately, he too is said to have drowned in the process. Efforts by the KDF's headquarter's Disaster Response Unit to retrieve the bodies went underway later in the night and it was not until Wednesday morning that they successfully managed to retrieve the tree bodies. The father, 40-year old Sergeant James Meme Kobia is an officer at the 12 Engineers Thika Barracks. Gov. Waititu hires 40 new doctors to ease shortage in Kiambu health sector. 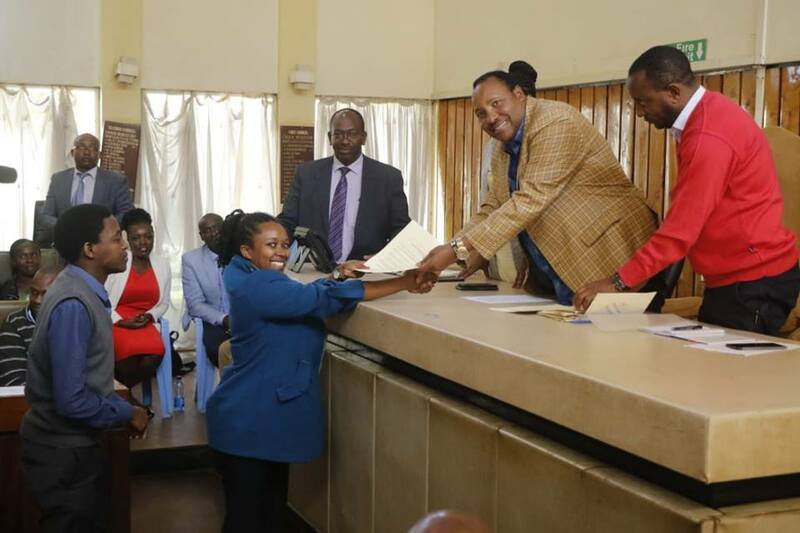 In a bid to address staff shortage and efficiency in the Kiambu county health sector, Governor Fertinard Waititu has hired 40 new doctors who will start work immediately. Among those recruited included 20 medical Officers, 10 Anaesethists and 10 Radiographers. The new staff who will be deployed in level 4 and 5 hospitals will help ease the workload and consequently improve service delivery in our health facilities, which currently receive over 10,000 patients daily. They will work in theatre, radiology department (MRI, CT scan, mammograms X-ray ultrasound) and other departments. Waititu said this recruitment drive was part of his government's efforts to manage the shortage of medical staff . He also said now the newly installed machines in Kiambu’s health facilities will continue working without no delays as most of the new doctors specialize on them. He added that they had recently employed 150 nurses and will continue until sanity the sector was adequately staffed. He appealed to the new medics to use their expertise to enhance quality health services adding that his county government will do everything possible to ensure all hospitals were well stocked with the necessary drugs as well ensuring that staff salaries were paid on time. However, governor Waititu who was accompanied by Kiambu CEC for Health Mary Kamau warned the medics against involving themselves in corruption saying any manner of corruption will never be tolerated. "Human resource for health is a key pillar in achieving Universal Heath Coverage and Kiambu County is working hard to achieve this.I'd like them to know that I hold the Medical career dearly for the role medics play in saving lives. I hope they will remain steadfast and focused to deliver services to Kiambu people,"said the governor. Waititu said that his administration had received complaints from the public that some medics have been referring patients to go and buy medicine in their pharmacies while the hospitals had the best machines and enough drugs. CEC Mary Kamau warned that no chemists will be allowed to operate near their health facilities as they had contributed to corruption with patients being sent to buy medicine at these clinics despite the health facilities having enough medication. Government to distribute over 5 million avocado, macadamia seedlings to farmers. The government plans to start distributing 5 million free avocado and macadamia seedlings in efforts to help farmers tap already secured market in Asia and South Africa. Agriculture Cabinet Secretary Mwangi Kiunjuri says that the government plans to put up hundreds of water pans across the country to avail water for domestic use as well as support farming activities. According to the CS, the government will supply horticultural farmers across the country with 5 million seedlings of avocado and macadamia adding that Kenya already has a ready market for its horticultural produce in China and South Africa. Billions of shillings has been spent on irrigation projects in Baringo, Embu, and Murang’a and is expected to cover the entire country progressively. The Cs added that the ministry of Agriculture is revisiting irrigation and projects around the country that had stalled as a result of insufficient funds and less-than-through-jobs done by contractors. Some of these projects that had stalled include Lower Kithengi in Embu County that is 67 percent complete. He added that they will progressively expand the capacity of irrigation schemes to increase food productivity. Meanwhile, local seed companies will from next year start selling seeds across the COMESA region after member states endorsed a common label. COMESA regional seed programme coordinator John Mukuka says the labeling is aimed at weeding out counterfeit seeds from the market and increase trade between member states. Trade in seeds across the globe is valued at 8 trillion shillings with the COMESA region only accounting for 2 percent of the total trade. Among issues slowing trade in seeds in the COMESA region has been poor quality produce. 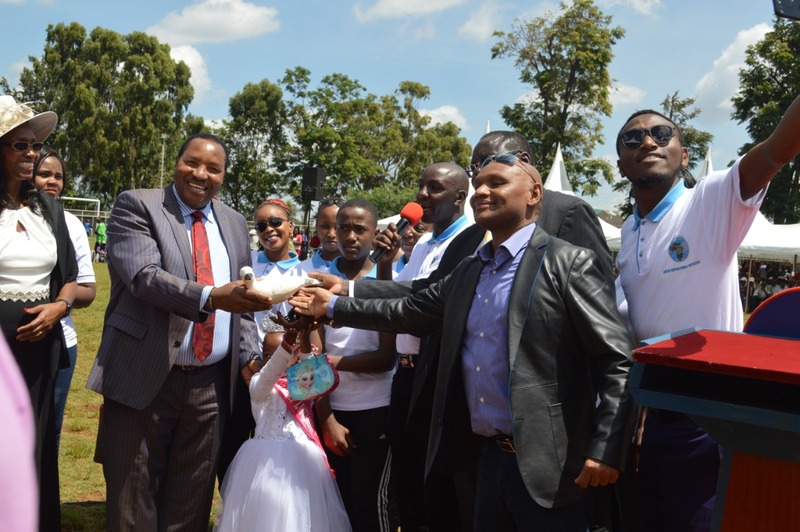 Truce – Waititu, Jungle promise to cooperate for the good of Thika people. Kiambu Governor Ferdinand Waititu and Thika Town MP Eng. Patrick Wainaina receiving a peace dove from a group of Kiambu residents. Kiambu Governor Ferdinand Waititu and Thika Town MP Eng. Patrick Wainaina have decided to shelve some of their differences and work for the benefit of Thika residents. While speaking at Thika Sub-County Stadium during the 55th Jamhuri Celebrations, the two leaders pledged to seek consensus on their ideological differences for the ultimate development of the area. There has been ranging rivalry between the duo especially concerning the acquisition of the over 600 acres of Del Monte Kenya Limited by the County Government of Kiambu, issuance of title deed to Kiandutu slum residents as well as the modalities on construction and distribution of affordable houses to Jamhuri, Ofafa and Starehe (JAMOFASTA) estate residents. “I am very happy that the governor is working out the issuance of title deeds to the residents of Kiandutu but I would not allow people from elsewhere to come and acquire ownership at their expense. 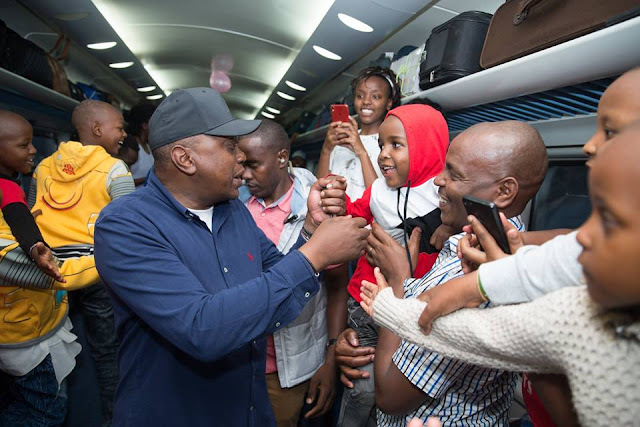 Once they get their titles, I will organise with them so that we can put up descent houses for them as county government works on improving on the necessary infrastructure and basic amenities,” said Wainaina. On the issue of Del Monte, the MP was of the opinion that the land given to Kiambu be utilised on developing public amenities such as industrial parks, markets, hospitals, jua kali sheds and stalls instead of sub-dividing the land for individual use. However, the governor assured Thika residents that his administration will ensure that all these processes were conducted with utmost transparency and only bona fide beneficially will benefit from them. “The 110 acres in Kiandutu will only go to those who own houses and those who have lived there for generations. The few who will not get a plot of land will be the ones we settle on the Del Monte land along with the others from various slums across Thika,” explained Waititu. Waititu added that he will ensure that his government gave title deeds to all the residents living in Gachagi, Matharao and other slums in Thika. He assured JAMOFASTA tenants that they will get the first priority to own the proposed affordable houses for free as the rest were sold to potential clients. 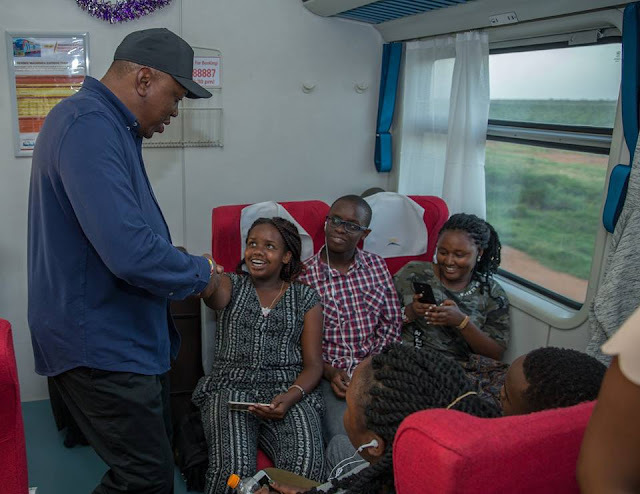 Others who spoke included Kiambu Deputy Governor Dr. James Nyoro, Kiambu Assembly Speaker Stephen Ndichu, Kiambu County commissioner Mr. Wilson Wanyanga and the Thika District Business Association Chairman Alfred Wanyoike among others. Wednesday’s fete was the first of its kind for Thika to host the county celebrations which traditionally have been taking place in Kiambu Town. AGAIN, Thika Stadium banned from hosting league matches due to poor conditions. 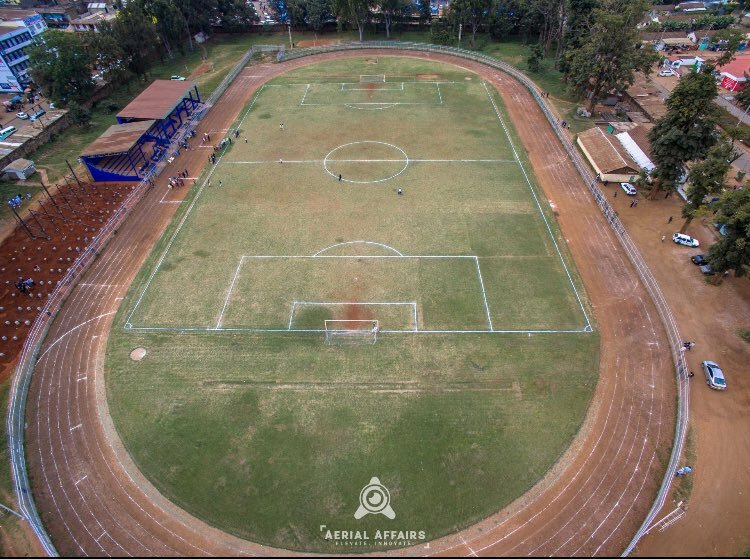 An aerial view of the Thika Sub-County Stadium courtesy of Aerial Affairs. Following widespread complains about their dilapidated state and inspection by members of the Stadia Safety and Security Committee (SSSC), the Kenyan Premier League has banned five stadia complex from hosting any of its league matches. 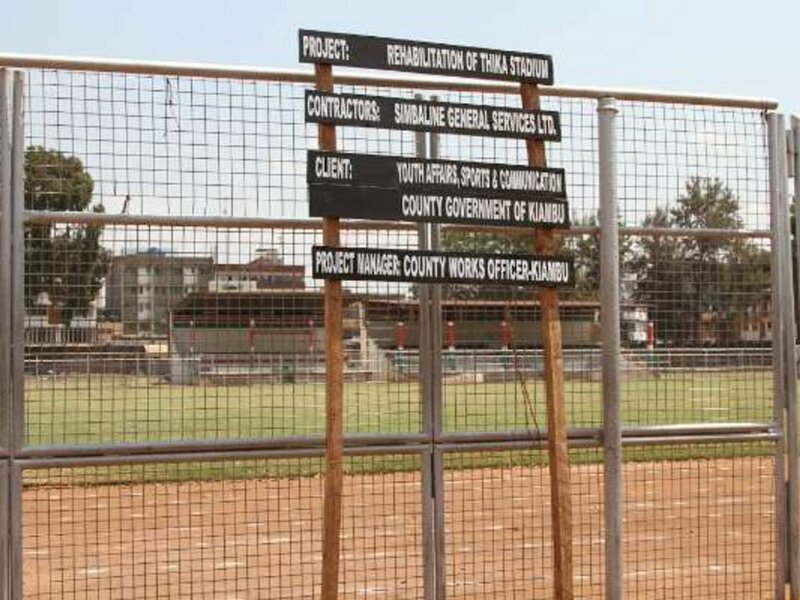 The sports body’s tough verdict axed Thika Municipal Stadium, Ruaraka, Mumias Sports Complex, Camp Toyoyo and Chemelil Sports Complex until the stadia undergo some facelift to the satisfaction of the SSSC. They advised all those teams that registered the grounds as their home grounds to seek alternative venues. The ban comes at a difficult time when most clubs are kick starting their campaigns in the KPL after the start of the new season. 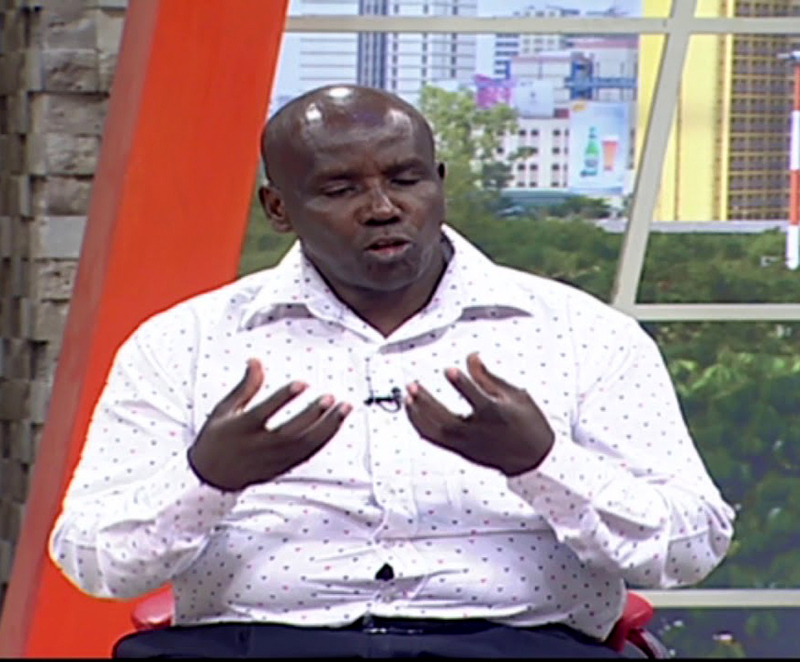 However, it will not be a big concern for Thika United who were relegated to the National Super League after a poor campaign in the KPL last season. The team had already selected Ruaraka Grounds for their home matches. The Camp Toyoyo ban will certainly affect a number of teams with Posta Rangers, Kariobangi Sharks, KCB, Mount Kenya United and Mathare United hosting some of their league matches there last season. Chemelil Sugar will also have to seek an alternative home ground after the ban of the Chemelil Sports Complex. Kakamega Homeboyz regularly used the Mumias Sports Complex last season alongside Vihiga United. But the upgrade of Bukhungu Stadium may offer the two Western-based clubs an alternative venue in the current campaign that kicked off last weekend. In 2014, Thika Stadium was banned with the SSSC report saying that its playing surface was in bad shape and the goal posts were not of the recommended size. The facility also lacked changing and washrooms for players and officials and didn't possess enough washrooms for the general public. The stadium was later cleared to host league matches by KPL matches in 2016 after the rehabilitation and upgrading funded by the then Kiambu County Government through the Department of Youth Affairs, Sports and Communication. A signpost erected by Kiambu County Government during the period between 2014 and 2016 when they were undertaking the rehabilitation works on the facility. THIKA SUB-COUNTY STADIUM – Uneven playing surface and faded markings. Thika Sub-County Stadium was inspected on Tuesday, December 04, 2018. The team was taken round by Ms. Njeri, the Sub-County Sports Officer. The facility was found to have recently hosted a musical event that left its surface in a sorry state. It is regretted that despite short-comings cited in previous visits such as the bumpy turf and other areas which promises were given would be attended to, same have so far not been acted upon, even as the league went on throughout the 2018 season. The goal-posts to be given a new coat of white paint for visibility. Several areas of the turf are depressed and can act as a collect a lot of rain water that will not augur well when it rains before or during the match as they will turn into small ponds. Such areas either need to fill up or made level when the ground is run over by a heavy roller as suggested in No.1 above. For the sake of safety and security of the players and match officials, the Committee hereby suspends Thika Sub-County Stadium from hosting KPL matches with immediate effect until such time the playing turf will have been appropriately attended to, in the best interest of players and match officials. Any Club [s] that had earmarked the Stadium as their home ground and/or alternative ground are directed to look for an alternative venue. Meanwhile, the Club [s] wishing to use the facility are encouraged to liaise with County Government of Kiambu to press for correction of these defects, which once done, a re-inspection will be carried out at the Club [s] own cost. Women Group in Kiandutu receives a hatchery to boost their poultry business. A hatchery bought by Jungle Foundation to help Hewapa Women Group boost their Kienyeji Poultry farming. 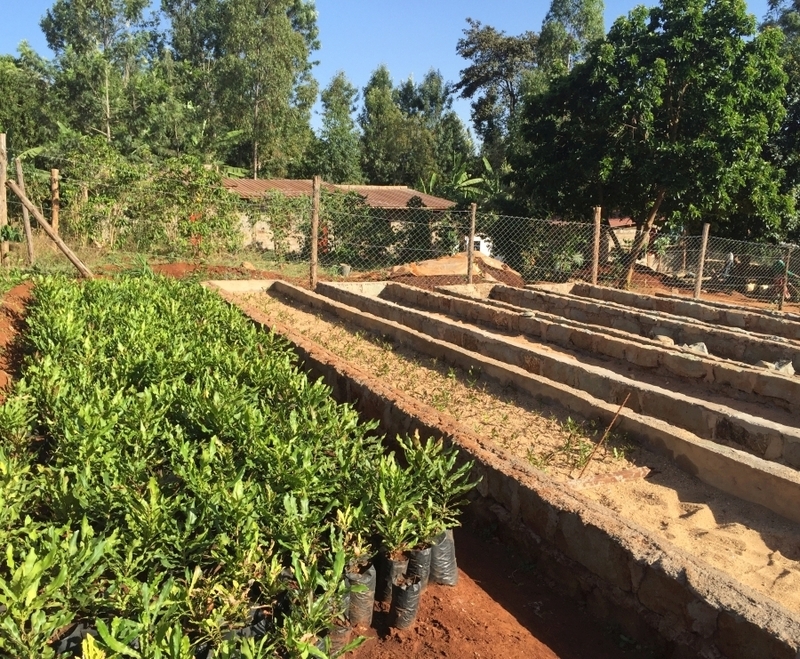 Slum dwellers from the sprawling Kiandutu village in Thika, Kiambu county have now ventured into farming a program that is geared into transforming lives as well as fighting poverty in the crime prone area. The program initiated by Thika MP Patrick Wainaina has seen many youths abandon their past criminal activities and mothers reaping heavily in Kuku-Kienyeji poultry farming. Kiandutu smart farmers youth group members are now busy participating in weeding and other chores under the program that is bringing food in every households table. They are growing vegetables such as sukumawiki, spinach and others in a 50 by 100 small farm that sits under the shanty village. Poultry farming by HEWAPA women group is making a substantial contribution to household food security through out the slum village and other traders who come to buy chicken and eggs. For Eunice Wanjiru, a mother of three from Kiandutu slums, joblessness, poverty, hopelessness and sheer lack could not allow her desert her dream of kicking out poverty and live a happy life in a serene place. She joined the cluster group of 12 other women from the slums to form HEWAPA group, the unseen became what is now the hit song of Thika town. Formed early this year, the group started by making contributions which they saved for a few months before the delved into what turned to be their game changer. Through a special contribution of Sh 1,000 each, the poor women who earlier survived on hawking second hand clothes bought 100 chicks and a sack of chick feeds. Motivated by calls to form cluster groups to benefit from government funding, the group withstood teething challenges to raise the young birds which brooded and more chicks were hatched to form a poultry empire that has become the talk of town. From a hundred chicks, the group’s strong resolve to succeed in the venture catapulted their ambitions so far managing to hatch and rear over 500 chickens which they sell to Thika hotels, supplying eggs in public primary schools for ‘egg Monday’ program started by the local MP in January this year and chicken for home slaughtering at a cost of Sh 1,500 each. The group has specialized in the selling of chicks at the age of one month and this they say is due to the high demand and the quest to maximize profits. They sell a one month old chick at Sh 300, eating eggs at Sh 20 while hatching ones go for Sh 30. This guarantees them profits that now place them in a position to expand their business. Their earnings from the business have assisted them to fend for their families and at the same time educate their children. Traditional methods of hatching the chicks has however been their main challenge as the process is time consuming and could have negative results. As their business expanded, the venture forced them to scale up their efforts such as ensuring that they provide a more enabled environment for their business to thrive. 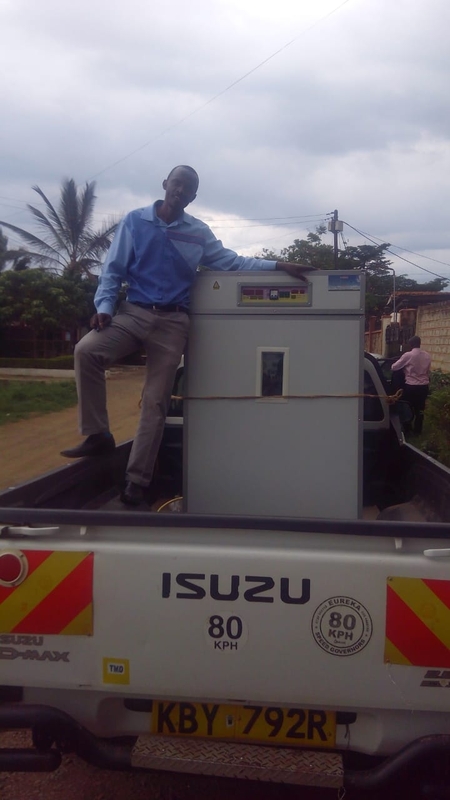 Taking advantage of being in a self-help-group, the group has been able to solicit funding from local Member of Parliament Patrick Wainaina who bought them a Sh 600,000 worth poultry hatchery machine able to hatch over 1,500 chicks per set up. “We hope to scale our business to other levels because we now have the capacity. We have a dream of purchasing plots for every one of us where we can bring up our children. Kiandutu is good but a more serene environment will help us wipe our toil,” said Wanjiru. Their broad vision is to tap into the wider marker and endear themselves as the biggest suppliers of chicken in Kiambu County to enable them attract more customers. Thika MP Patrick Wainaina while presenting the hatchery machine accompanied by renowned gospel artist Kevin Bahati lauded the women for embracing the economic empowerment program and making maximum use of their little resources to better their lives. Wainaina said that the poutry business has ensured a smooth supply of the essential commodity increasing the rate of school attendance in public primary schools. “The crime rate has also gone down and we hope to continue empowering more groups to achieve their dreams,” he said. The MP in January started a program dubbed Egg Monday which has seen each pupil enjoy a boiled egg every Monday morning. 11-months down the line, Wainaina said the programme has not only improved the general health of pupils but also class attendance in schools.